Tired of personality-driven politics, lawyers, students and an orang utan conservationist are embarking on an ambitious plan to take matters into their own hands. “It’s always about (Datuk Seri) Najib (Razak) or (Datuk Seri) Anwar (Ibrahim), who has sodomised whom… what about the people? “What about the issues [that directly impact on people’s lives]?” said human rights lawyer Edmund Bon during the unveiling of the tentative plan of voter-education project UndiMalaysia! on March 19. UndiMalaysia! aims to redirect the people’s attention from personality-driven and partisan politics to issue-based politics. Whether human rights, women’s rights or environmental issues, Bon said they want to engage all relevant nongovernmental organisations (NGOs) onboard their voter education project. Part of their plan is to highlight issues during elections and question the candidates on their stand over topics such as the environment or the Internal Security Act. Stressing that the initiative would be non-partisan, Bon said they would be holding closed-door consultations with the NGOs in the coming months to gather their feedback on UndiMalaysia!. UndiMalaysia! 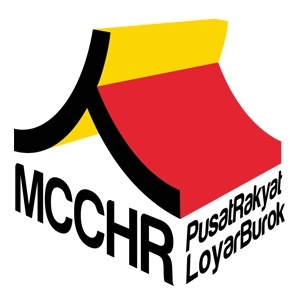 will be the first project under the LoyarBurok Rakyat Centre, also known as the Malaysian Centre for Constitutionalism and Human Rights. Located near the Bangsar LRT station, the LoyarBurok Rakyat Centre was officially opened on March 19. The centre is the brainchild of the LoyarBurok collective, which now has more than 200 volunteers. Despite its name, the collective is no longer made up of only lawyers, but students, environmentalists, concerned citizens, and anyone who has written for the blog www.loyarburok.com. The “blawg”, as they prefer to call it, was started in 2006 by Bon and five other lawyers: Fahri Azzat, Amer Hamzah Arshad, K Shanmuga, S Sharmila and Edward Saw. Last year, blog articles on the Perak constitutional crisis in 2009 were compiled and published as a book titled Perak: A State of Crisis. The Selangor Times goes bananas. Bon claimed they were “mind-controlled” by a monkey called Lord Bobo Barnabus that exists solely in cyberspace to start the blawg and publish the book. “We’ve never met him before, but he’s the one who gives us the inspiration to do the things we do,” said Bon. Later, due to the increasing number of members in the LoyarBurok collective, some felt there was a need for a physical space to expand their activities. Hence a space was rented in Bangsar. In a LoyarBurok article, Long Seh Lih, who will be managing the centre with another LoyarBurokker, Lim Ka Ea, said the centre would focus on mainstreaming human rights. discussions, training sessions or film screenings to promote their causes. “We welcome any group to use it as long as it fulfils a purpose… we want to be as inclusive as possible,” said Bon, adding that this was part of their efforts to promote more intellectual discussions. Despite the serious issues they are taking on, they try not to take themselves too seriously. The rakyat centre’s opening launch was called Ops Pisang, and aptly, the 200-odd visitors were given a free banana each. “Pisang stands for People’s Initiatives for Social Activation and New Governance, but honestly, that was just an excuse for us to use Pisang as the name,” said another LoyarBurokker, Pang Khee Teik. He said bananas fit Lord Bobo’s image. The organisers also invited indie bands like the Sounders, MC Stiff and Lord Bobo’s Minions to perform at the launch. There were also quizzes on politics and LoyarBurok history. 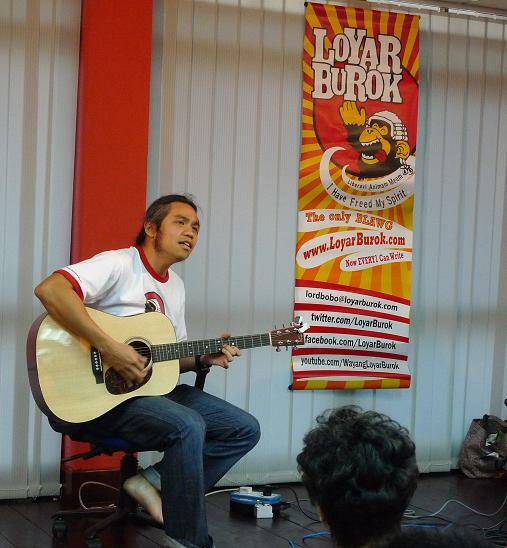 LoyarBurok merchandise was given to those with the correct answers. Bon said one of the problems with civil societies in Malaysia was that they had forgotten that activism could be fun. “Many are just doing it for the sake of doing it. There’s no more excitement,” he said. The lawyer-activist highlighted that one could bring about positive changes in society while having fun. Through the rakyat centre and the UndiMalaysia! initiative, Bon said they hoped to unite civil societies and spark new ideas in local movements. However, he stressed that what was revealed during the launch was only the “bare bones” of their master plan. “We still need to consult the NGOs [to fine tune it and come out with a workable action plan],” said Bon. He added that they would be looking to foundations and corporations, foreign as well as local, to fund their projects. The collective is also looking for volunteers. Individuals interested in UndiMalaysia! can email [email protected], stating their name, contact details and expertise. Freelance journalist/researcher. Environmental columnist with The Nut Graph. Posted on 7 April 2011. You can follow any responses to this entry through the RSS 2.0. Read more articles posted by Pei Ling Gan.